I have an old bumper sticker someone gave me after I made Chief Warrant Officer that says “I did it the hard way… I earned it”. Another one that was given to me was ironic when I look back over the years leading up to my commissioning and realize how many times I was humbled along the way. Frankly, there were a number of times during my journey leading up to commissioning that were incredibly humbling. I often talk about my experiences on four of my boats. 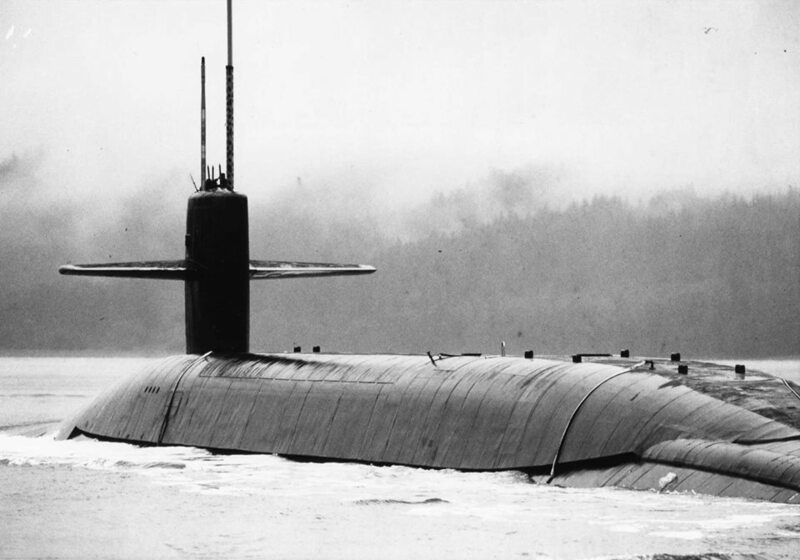 The defining and refining experiences of being a young man on both the George Washington and the Halibut helped to clear away any romantic notions I may have had about being a submariner. The boats were old and required a ton of work to keep up. The crew on the GW was nearly all new and the experience we gained were all hard won. The short tour on Halibut was just long enough to teach me that I was living by grace and my angels were working overtime. But I could add the fabled Horse and Cow to my resume and I am forever grateful for the leadership of men like Chief Hicks. The USS San Francisco was the best part of my boat journey. Being a new construction Plankowner and working with the men who helped me to fully realize my Navy potential was a blessing. If I had skipped the next tour, I may have still got to my destination, but there is always a next tour in the Navy. That next tour was one that I worked very hard to get to and wanted more than anything. I wanted to serve on a Trident. As Career Counselor on the 711, I tried to do as much as I could to help other guys get the assignments they wanted. But as my four years came to an end, I knew I didn’t want just any shore duty and definitely didn’t want recruiting duty. So when Bill Previty asked me where I truly wanted to go, I didn’t hesitate a bit. Send me to Bangor on a boomer. There is an old saying in life. Be careful what you wish for. You just might get it. 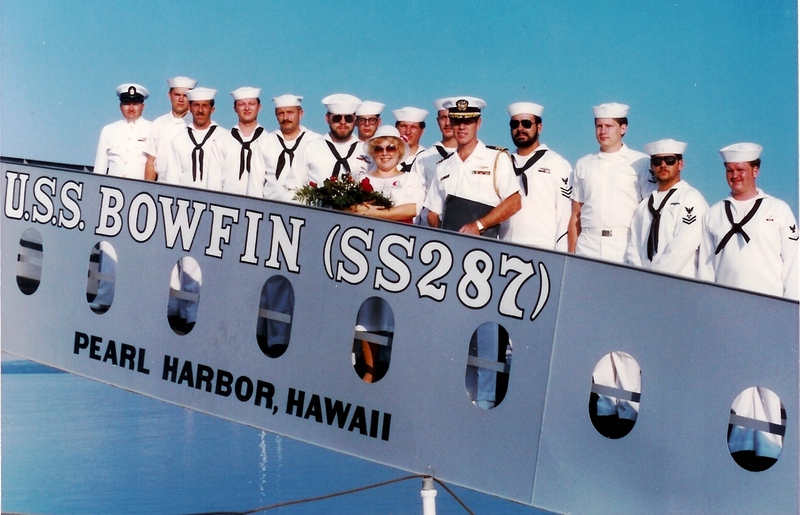 In December of 1983, I reenlisted as a newly frocked First Class Petty Officer on the USS Bowfin in Pearl Harbor. My old Executive Officer (who was my direct boss for two years while I was the command career counselor) did the honors with a small contingent of 711 sailors and my wife looking on. It was a perfect day in the tropical paradise we had grown fond of over the past few years. After a great Christmas with the family in Pittsburgh, we ended up arriving in Bangor on a cold and wet day. I checked into the off-crew office just before the boat came back from patrol. The atmosphere inside the building was as gray and dreary as the atmosphere outside. My welcoming was very subdued and the Executive Officer informed me that I was to become the new Command Career Counselor for the USS Ohio Gold Crew. 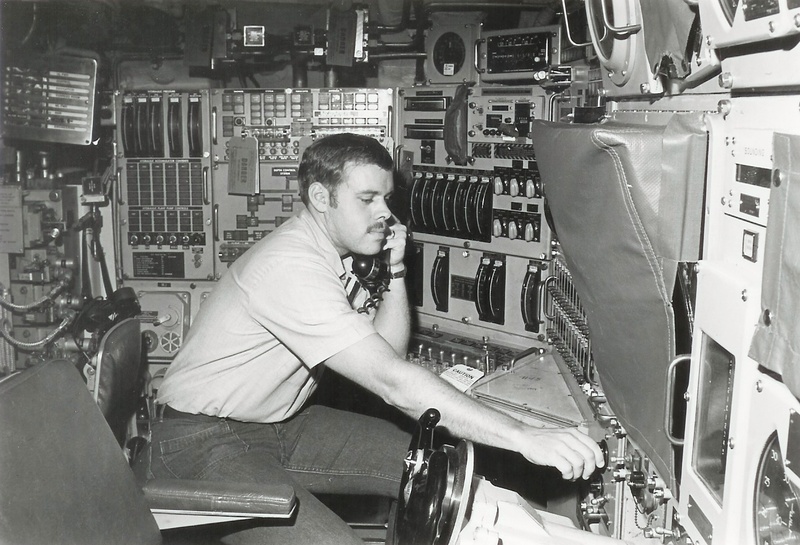 Much of the crew at that point had never been on any other boat or command since the boat took so long to build and deploy. Morale was very low and retention was even worse. He had read my record and saw that I was pretty good at what I had been doing so he informed me that I was going to help straighten out the problems. I said no. I let him know that I had been outside of my rate for too long already and needed to get back to the business of being an Auxiliaryman and leader. 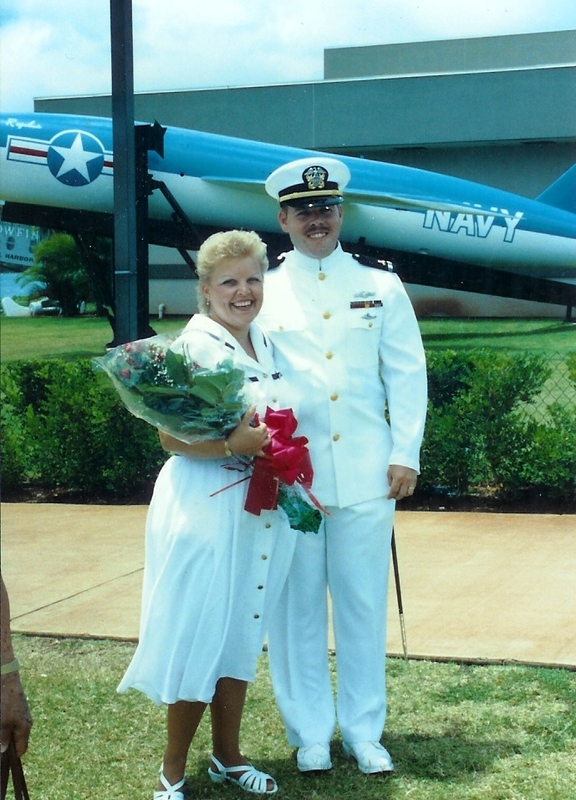 I had visions of being a Limited Duty Officer and I knew that required me being a leading petty officer and a chief at some point. Working as an independent Career Counselor for a second tour was not in my plan and I respectfully asked to go back to work as an A Ganger. The boat returned from patrol a few days later and I found out just how badly the XO wanted to teach me a lesson. Even as a First Class, the Chief assigned me some very menial tasks with no part in any leadership roles. I will never forget the first day on board. It’s always chaos during a post deployment refit and I was just another new face to help handle whatever chores that came up. I was wearing a foul weather jacket that had no rank insignia on it and one of the guys from A gang started barking orders for me to do something topside. After a bad first couple of days with the boat, I thought that it would be a good thing to just help. What I have always loved about submarines is that whether its handling hoses, shore power cables of stores loads, we all pitched in. I just started working without any thoughts or concerns. My three previous commands had taught me well. At one point, I took my jacket off since it was getting kind of hot with all of the physical activity. Once the jacket was off, my newly ironed on first class crow stuck out like a sore thumb. Years later, the third class petty officer who had been barking orders let me know that he was actually afraid he had messed up once he saw that crow and those three stripes. I didn’t notice it at the time, but his demeanor suddenly changed and he started asking me for direction about what to do next. The first three days were the most humbling I had ever had in the Navy. I expected to be treated like a nub when I was in boot camp and even my first two boats. I had not expected to come off a highly successful tour topped with a Navy Achievement Medal and advancement to First Class Petty officer and suddenly find myself at the bottom once more. I kept a journal that first patrol. I reported in to the Ohio weighing more than I ever had in my life and I was placed at the bottom of the list for watch stations. By the end of the patrol, I had shed nearly forty pounds and learned about hard work in the face of adversity. It would have been easy to just quit and spend my time cruising. Instead, I took the humbling experiences and turned them into opportunities. Since I was being shunned by leaders at first, I could spend more time learning the boat. My time on the 711 had taught me how to learn and how to teach. My isolation on the Ohio taught me how to really become valuable. Despite a rough beginning, over the next two years I would come to know that boat from stem to stern. I would eventually become the Leading First Class for Auxiliary Division and know the systems well enough to become the subject matter expert. Morale on the boat never did get much better. Of the five boats I served on, it’s the only one I have never really written about before today. I also don’t have anyone that I cared to stay in touch with after the tour was over. I read though the journal to Debbie once again last night and many of the old anxieties came back. But the determination and energy also came back to me. I have a wall filled with plaques. Most of them are very special to me. Solid hard wood with brass insignia and brass nameplates recording my name and command dates on them. Some even wishing me fond Alohas and Fair Winds. 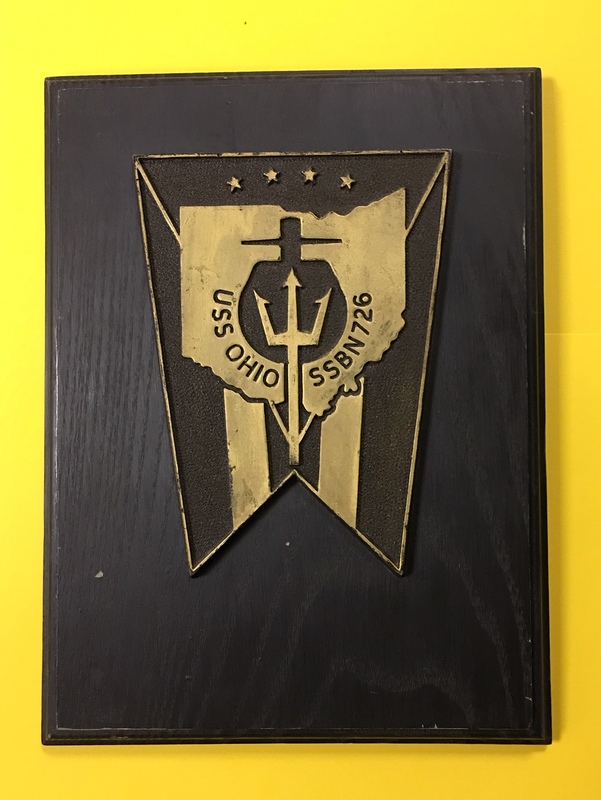 But the Ohio plaque is the one I treasure most. It is smaller than all the rest, black lacquer over pinewood and a plastic emblem of the USS Ohio. There is no brass plate or any way that a stranger will know years from now who the plaque was given to. But I know every time I look at it that I was able to overcome every barrier placed in my way and still achieve some great things. I know that every once in a while, it’s a good thing to get humbled lest your head get too big to fit through the escape hatch. That one hit home and brought back memories from years ago. 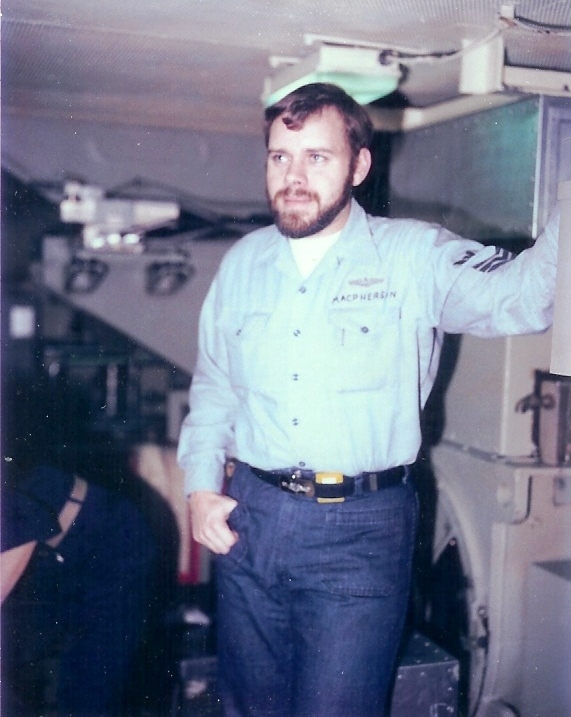 As a 30-yr sailor, ex-AD, LDO, 1520 Airdale (’51 – ’81), you’ve been there and done that. My experiences had a few parallels but were with fighter squadrons, fleet carriers, staffs, and a few air stations, with much more more Med time than WesPac. Don’t stop, keep it going as long as possible, pal. We love it! Have always looked forward to your writings and usually forward many to other fleet brothers.